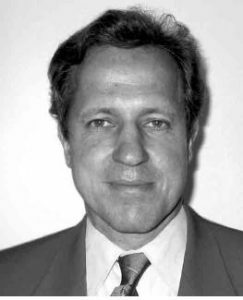 Howard S. Flagg EE’75, served as a Cooper Union Trustee from 1998 to 2006. Howard had an enormously successful career as an innovator of digital communi­cation systems. He was cofounder and served as CEO and Vice President of PairGain Technolo­gies, Inc. where he developed and managed the engineering team for HDSL technology. Prior to forming PairGain, Mr. Flagg founded and served as a principal of Advanced Telecommunications, Inc., an aerospace telecommunica­tions consulting firm. He also worked with NASA Telemetry Processing Systems. Howard was an active and generous supporter of The Cooper Union. Together with fellow alumnus and classmate Ben Itri EE’75, Howard endowed the Jessie B. Sherman Chair in Electrical Engineering and was honored for his generosity with membership in the Peter Cooper Heritage Society. In 1997, The Cooper Union Alumni Association presented Howard the Alumnus of the Year award for his outstanding service to the college. This entry was tagged Ben Itri, Howard S. Flagg, Jessie B. Sherman Chair in Electrical Engineering, Trustee. Bookmark the permalink.